Most travelers in Malaysia are familiar with hotel booking sites like Booking.com, Agoda and even TripAdvisor. Every once in a while, we scroll through sites like Fave for deals, or even just wait until the last-minute for when hotels drop their prices to sell-off rooms. This is not to mention the popularity of crowdsourced Airbnb accommodations that also offer stays at a low prices. And in this industry comes Staydilly, a hotel-booking service that can give users discounts for up to 60%. This site will tell you most of everything you’d want to know for a pleasant hotel stay—all but the hotel’s name. In what Staydilly is calling their ‘Mystery Hotel’ concept, the name of the hotel will only be revealed once users make the booking. “The hotels in the budget segment do not have the margins to reduce further to compete and many go out of business. Staydilly is attempting to reverse this to enable a more healthy and sustainable hospitality industry,” said founder Eu Jin, founder of Staydilly. 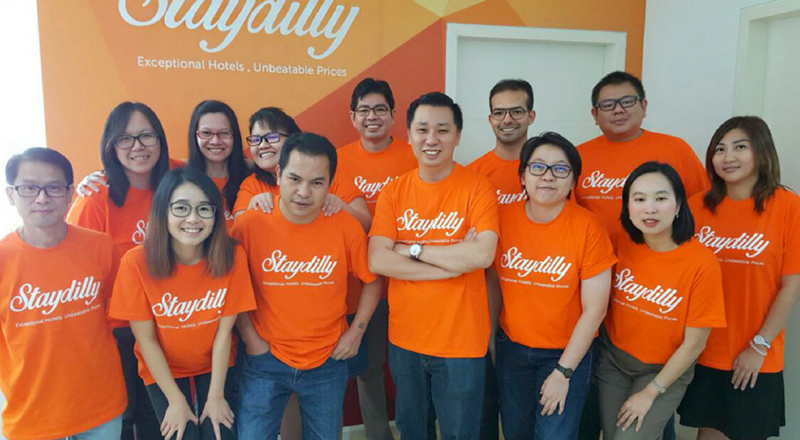 The idea for Staydilly came about when the team (who come from different travel-related backgrounds such as hoteliers, airlines, travel agents) noticed that the hotels that they stayed in always have empty rooms. To fill these rooms, the hotels will offer large discounts at the last minute. Even though hotels might be desperate to fill rooms, if they lower their prices too much too often, it’ll dilute their brand. Basically, imagine a 5-star hotel advertising 3-star prices. Users might start questioning: why buy it at full price then? It’s a bit of a catch-22. Do the hotels sell off the rooms to make more profit or do they refrain but retain the branding? With the Mystery Hotel concept, Staydilly thinks it can solve this issue. And bear with me people because the answer involves… math. Here’s how Eu Jin described it. Phew, now that’s a lot of percentages. So we can tell that hotels may find this model appealing to sell off their usually idle rooms, but we wondered: what do consumers get out of it? Staydilly doesn’t consider themselves a deals site, but that won’t mean much to users who will do price-comparisons on all offers from travel agencies to deals sites to this new system that Staydilly uses. We posed that quandary to Eu Jin, and here’s what we found out. 1. Staydilly’s discounts are consistent. No matter if you’re booking for one month in advance, to booking a next-day stay, as long as there are still available rooms on the site, Staydilly’s prices don’t fluctuate up or down no matter when the bookings are made. Eu Jin argues that deals sites are more opportunistic in nature, offering discounts for only specific times and very limited number of hotels. 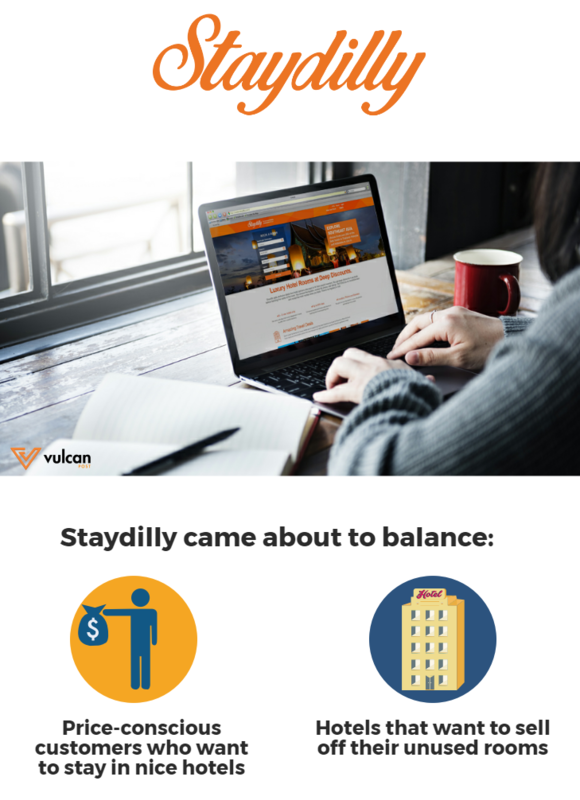 Since hotels on Staydilly are available all-year-round, users are better able to shop for hotels that better suit their criteria, especially in terms of hotel location and timing of vacation. After all, more users prefer to book a hotel after planning a vacation, rather than booking a hotel then planning the trip around it. It’s friendlier towards people aren’t too fussed about hotel branding, but still prefer to plan their trips beforehand. Thanks to the number game mentioned earlier, Staydilly is able to offer cheaper prices compared to online travel agencies (arguably their most direct competitor) and they are again, able to offer these prices all-year-round instead of near the date, when hotels would be pushing their prices down to sell off rooms. It’s a more reliable relatively cheaper option, versus playing the guessing game on whether last-minute hotel prices will go up or down. 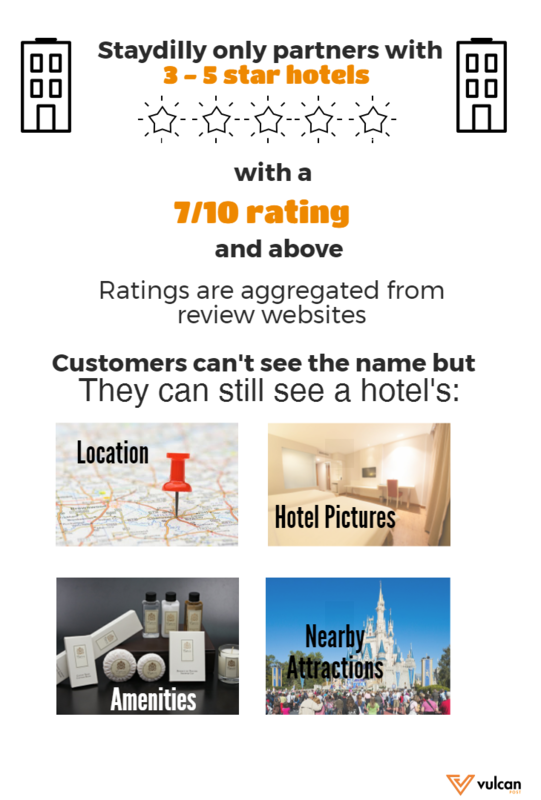 Because Staydilly claims to be quite selective of their hotels by taking only 3-5 star hotels at ratings 7/10 and above, they’ve done a lot of the narrowing-down of hotels for consumers. 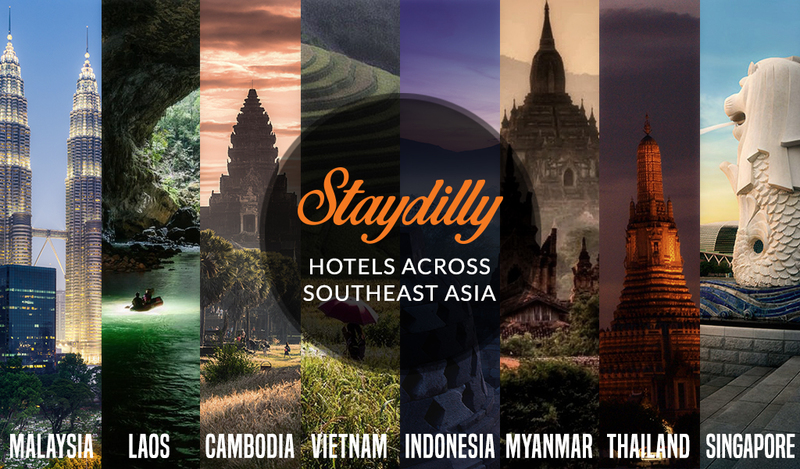 In terms of deal-friendly platforms, Staydilly’s concept has the advantage of being appealing to the hotel industry. When it comes to the mystery of the hotel name, the discounts and the photos plus detailed descriptions might just be enough to keep users interested enough to even give it a go.